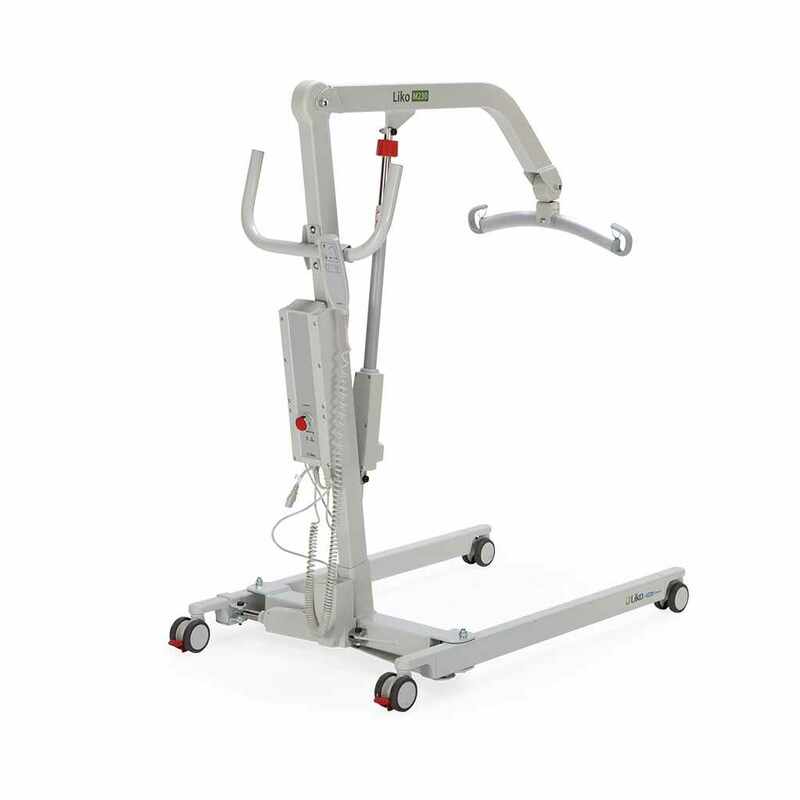 Liko M220 mobile patient lift features an intuitive design intended to make the lift extraordinarily easy-to-use, even for caregivers new to lift operation. 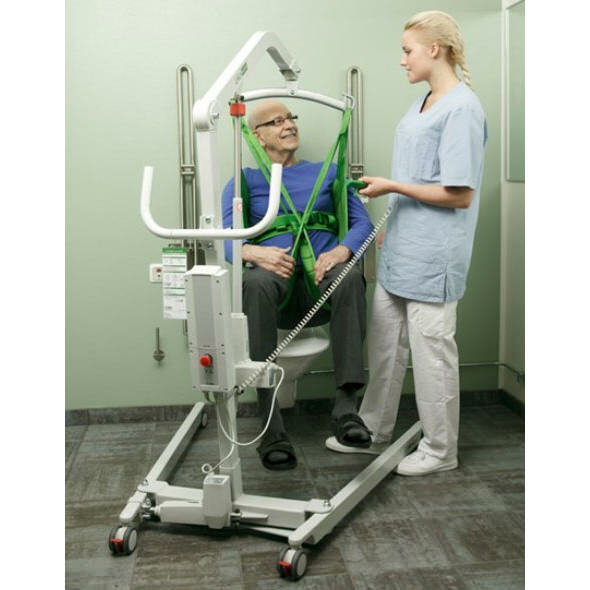 Liko M220 is easy-to-use mobile lift primarily intended for use in nursing homes and home environment. M220 is excellent aid for daily transfers of adults and children; for instance, for transfers to and from a wheelchair, toilet and floor. Liko M220 has manual base for opening and closing the legs. An individually fitted sling and other accessories are of utmost significance for performance and safety when using Liko's lifts. 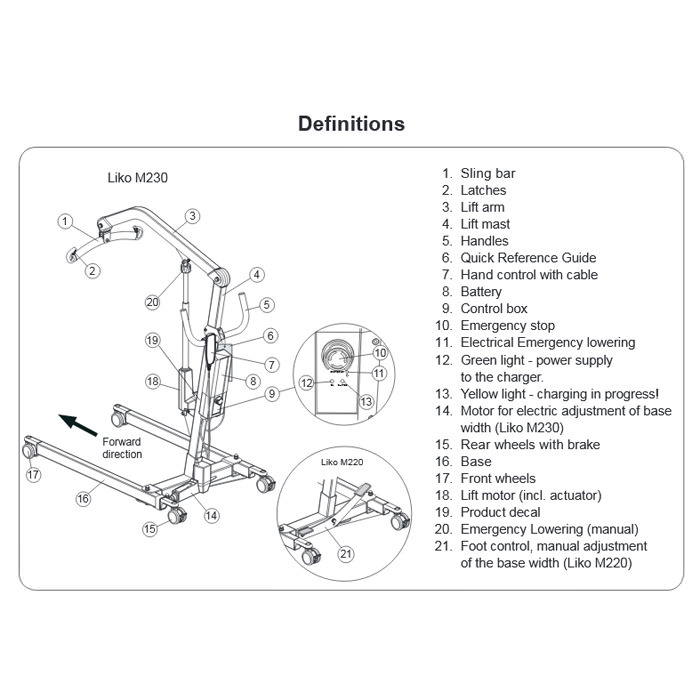 With the Liko M220 mobile lift, you can meet all of the most common lifting needs, including lifting from the floor. Base-width adjustment on the M220 lift the base is easily widened with a pedal. All to allow easy access around chairs or other furniture. 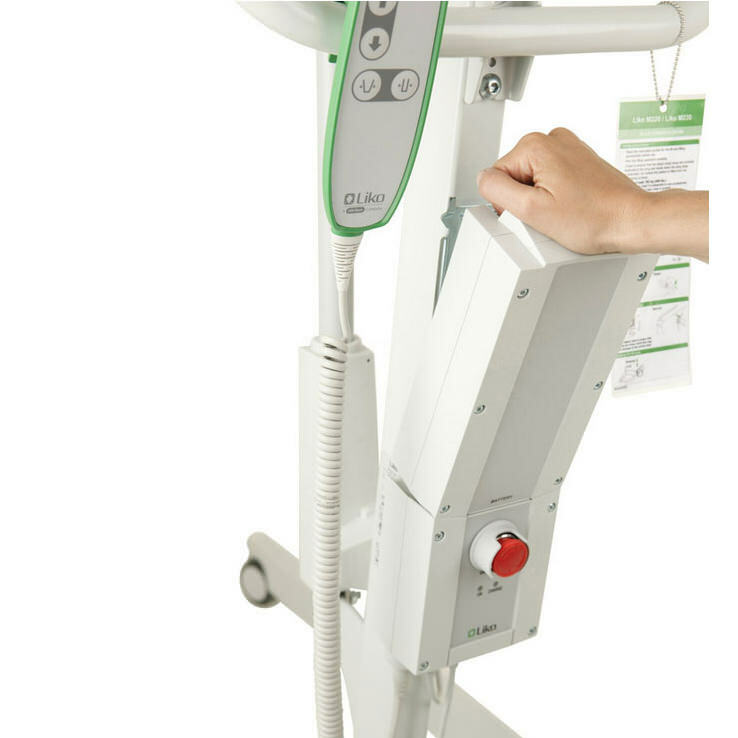 The long lift arm allows for easy patient rotation and easily lifting the patient to the center of the bed. Battery In series: 2x12 V 2.9 Ah valve-regulated lead-acid gel batteries. New batteries provided by the supplier. Battery charger Built-in, 100-240 V AC, 50-60 Hz, max 400 mA. 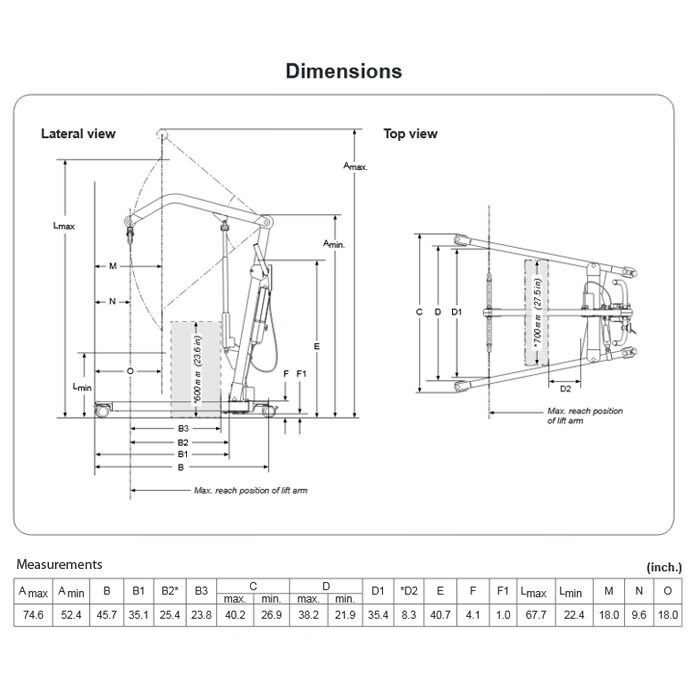 Lift motor 24 V DC, permanent magnetic motor with mechanical safety mechanism. Climate and environmental conditions during use Temp. range: +15 to +40 °C (+ 59 °F to + 104 °F) without reduced performance. Humidity: 10% - 95% non-condensing, without reduced performance. Air pressure: 70 - 106 kPa without reduced performance.